Don't mess with the First Lady. That's pretty common sense, but speaking Tuesday night at a Democratic National Committee fundraiser, Michelle Obama reminded the crowd of her limits when she was confronted by a heckler. "One of the things that I don't do well is this," Obama told the crowd after a protester began yelling during her speech. The First Lady approached the 'heckler' who was calling for that an executive order to ban discrimination by federal contractors based on sexual orientation or gender identity be signed. "Listen to me or you can take the [microphone], but I'm leaving. You all decide. You have one choice," Obama said. The order has been sitting on President Obama's desk since February 2012, but rather than sign it, he's opted to pursue a legislative solution, which may or may not work. Looking at the top 25 federal contractors, 24 have nondiscrimination policies that include sexual orientation; 13 have nondiscrimination policies that include gender identity; and 18 provide domestic partner benefits. Finally, looking at employees of federal contractors that are in the Fortune 1000, 92 percent are already protected by a company-wide sexual orientation nondiscrimination policy, and 58 percent are already protected by a gender identity nondiscrimination policy. Given the data, signing an executive order barring federal contractors from discrimination based on sexual orientation and gender identity most likely would not be such a big deal in the business world. And now that the presidential election is out of the way, the politics are less complicated. All that’s needed is the president’s signature. So while Michelle Obama may have had her reasons for getting annoyed, it's also fair to say that activists have waited long enough to give the president the benefit of the doubt on this civil rights no-brainer. 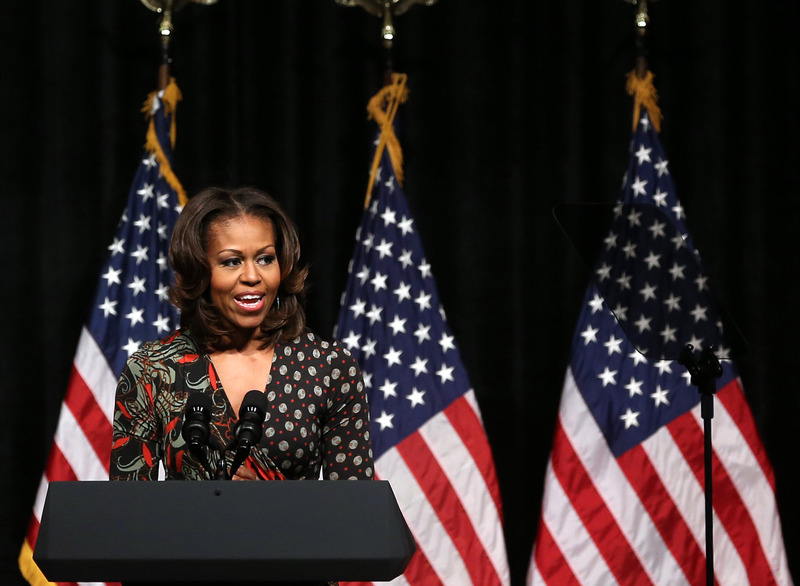 Thanks to the First Lady's reaction, they may have gotten just the press they needed.